Gerontology is an interdisciplinary field. Corresponding to the many facets of the main object of its study, many different scientific methods and theories are part of a common inquiry into the understanding of old age and aging processes. The social sciences or social gerontology and biology or biogerontology provide important contributions to these inquiries. Both fields develop their own theoretical frameworks, which determine their basic understanding of aging and old age. However, both social gerontology and biogerontology also have set practical goals for their respective research agenda. These goals are not only guiding the direction of the scientific work, but they also inform and guide the different interpretations of aging and old age. 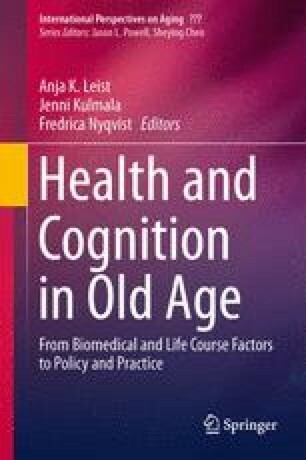 This chapter will outline how these different practical goals lead to a conflict of interpretations of aging, which creates a general conflict between social-gerontological and biogerontological research agendas and on what is considered an appropriate understanding of aging and old age. One consequence is that synergies and cooperation between the different fields of gerontology are hindered. An interdisciplinary dialogue to raise the awareness of the different interpretations of age and aging is suggested as a possible way out from this unfortunate situation, towards a more integrated interpretation of age and aging, and possibly towards a common research agenda. This book chapter is one of the results of the work I was able to carry out during my FLARE postdoctoral fellowship from 2008 to 2011. Without this fellowship and the resulting opportunities for scientific networking and exchange, an interdisciplinary research question like the one I am discussing here would be very hard, if not impossible, to answer. I want to thank the German Ministry for Education and Research (BMBF), which provided funding for this project as partner in ERA-AGE for this opportunity. The same thanks go to of course to the people from ERA-AGE and the coordinating partner in Sheffield, who have been incredibly supportive for my work. For providing peer review for this chapter, I want to thank Wim Pinxten and Anja Leist for her thorough reading and comments, which were very helpful for improving and clarifying this chapter and its content.